The geese and mergansers of Fish in a Barrel Pond begin the season with dozens of goslings and ducklings. Those numbers dwindle quickly, though, as snapping turtles, otters and mink take their toll. They rely on sheer numbers in spring to leave one or two youngsters still swimming come fall. When danger strikes they scatter, every bird for itself, and if one or two of your brothers or sisters get picked off, at least it wasn’t you. The loons, however, lay only one egg, maybe two, with one serving as an insurance policy, should something happen to the other. Something usually does. 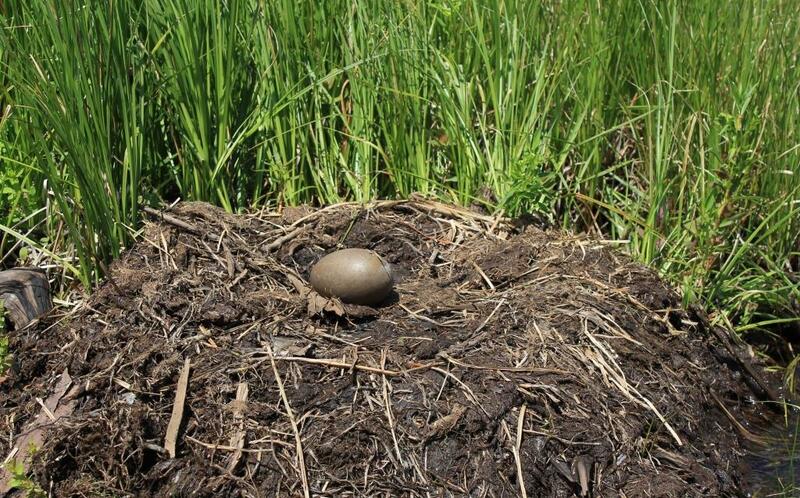 One egg hatched this spring, one egg did not, and we were able to get to the one that didn’t before it was snatched up by an otter, mink, heron or crow. Wrapped up in paper towels and tape, it was labeled and frozen before being picked up by the Vermont Center for Ecostudies for further, um, study.